Musset didn't write the way he did because he drank absinthe, instead he drank for the same reason for which he wrote just like that: namely out of despair. 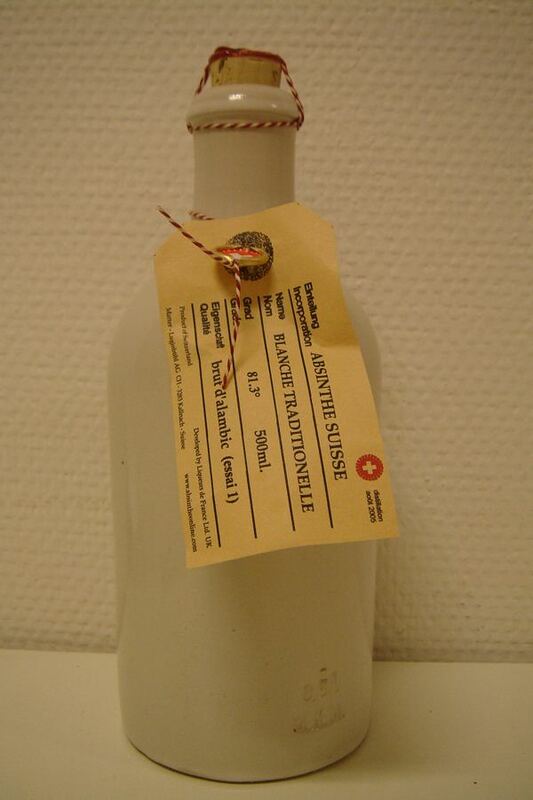 Another blanche from Matter-Luginbühl, but this time in cooperation with Liqueurs de France. Bottled at still-strength this packs a hefty 81.3% alcohol. Distilled at the Matter-Luginbühl distillery, developed by the good people of Liqueurs de France and based on a classic old blanche recipe it shouldn't be able to go wrong. To tell the truth - it didn't. It is apparently a winning combination. Bottled at still strength the price tag really isn't that bad even though it only comes in 0.5 liter bottles. But how does it taste, being it's so strong? 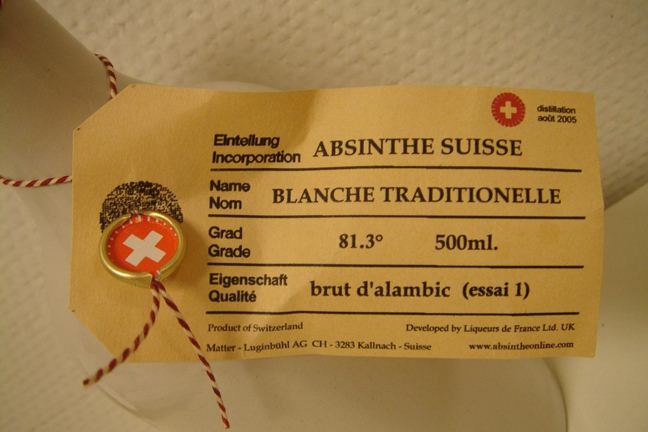 Well, most other absinthes that boost their alcohol level above 75% tend to be vile artificial crap like Hapsburg and such. This is nowhere near that. The Blanche Traditionelle is a very well made absinthe even though it's actually more or less only in the early stages of its life time. It is very well balanced and presents a wonderfully rich aroma. Comparing it with the Blanche de Fougerolles, which is made according to the same recipe but with a different method of manufacturing, the Blanche Traditionelle is way ahead of the BdF. In there among a very fine herbal composition you can clearly notice the nice fruity character of distilled wormwood nicely flirting with your tastebuds. The louche is ofcourse building up slowly given the high alcohol level but once it gets started it louches very fine and ends up in a nice white. Slowly rising along with the louche is a fine perfume telling what awaits for you to drink. 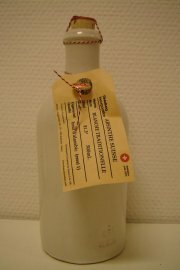 Seriously, the Blanche Traditionelle is presently (in the beginning of 2006) my favourite blanche absinthe of all times. It's a definite must have. 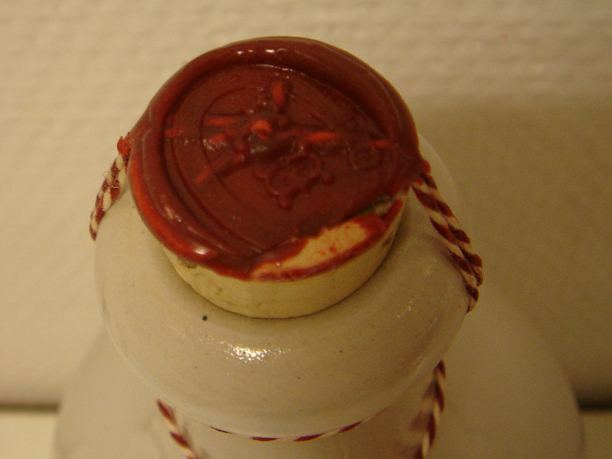 Many writers "of old" wrote poems or passages about absinthe. Some drank it, some didn't. Find some of them here as well as reviews and notes on modern books about absinthe. The Absinthe Poetry section has seen several updates the past days. Poems and information about more authors; Antonin Artaud, Arthur Symons, Francis Saltus Saltus, Florence Folsom and Robert Loveman. Open your mind and have a drink while you enjoy their lyrics. It's the new bistro, the new bar in town. A good place to meet when meeting in real life isn't always an option. Meet me on facebook for more updates from the absinthe world.